Want to make your wedding day even more special ? 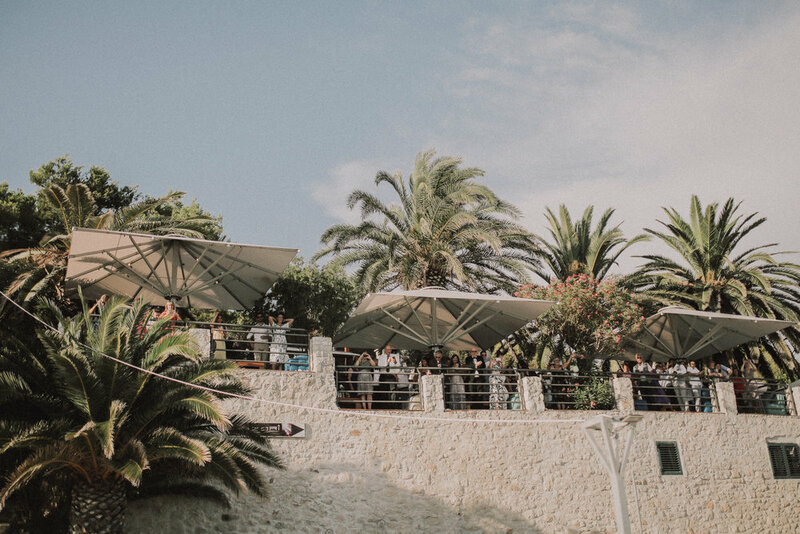 Have your wedding in Restaurant Zori situated on the island of St Klement, which is the biggest of Pakleni islands, near the city of Hvar. 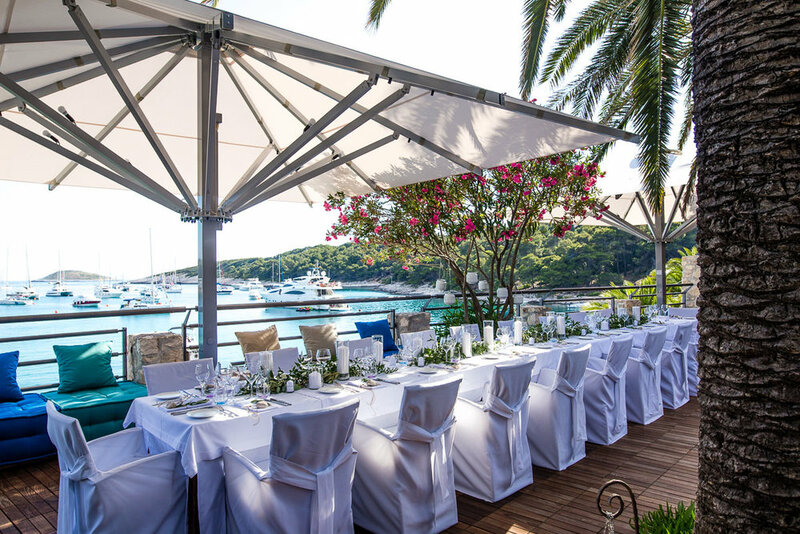 Restaurant Zori has a longterm experience in organising weddings and delivering exceptional guest experience. Whether you want a unique location, ambiance, delicious food or professional service, we have it all. 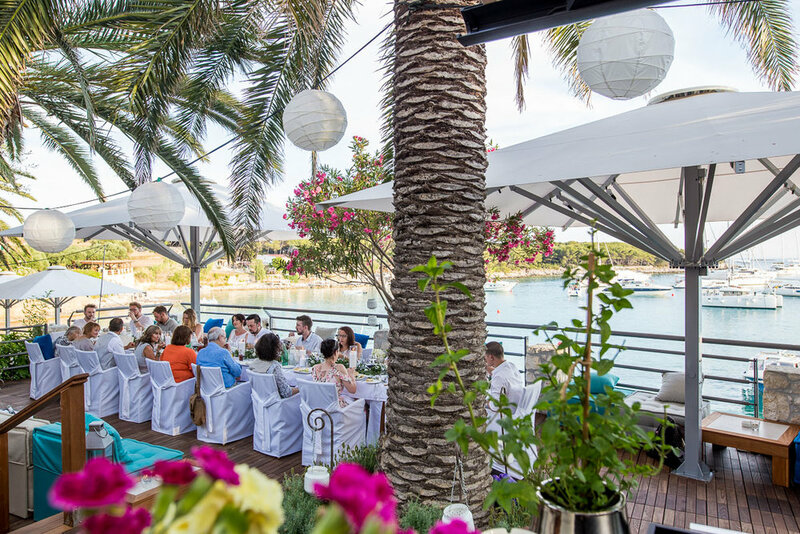 Situated on the waterfront the restaurant has a Palm terrace with direct sea views and two roofed terraces that can be easily transformed into interior space. You can either privatise the restaurant for your reception or just secure a space on the terrace for dinner or lunch. Want to privatise the restaurant and be carefree? 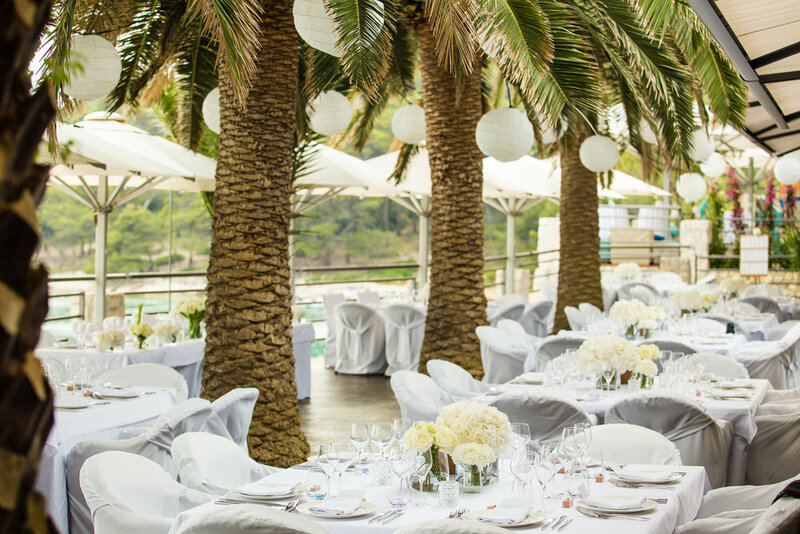 We have a wedding package that will leave you completely carefree. From basics such as food and beverages it includes as well boat transport, decoration, flowers and DJ. Photo courtesy of Mihoci Studios. Want to privatise the restaurant and be in charge? We have different menus and beverage packages available but will leave you to take care of the details. Going small and intimate with no privatisation in mind? Don't worry, we have options for you as well. Different menu options and beverage packages available for you to choose.